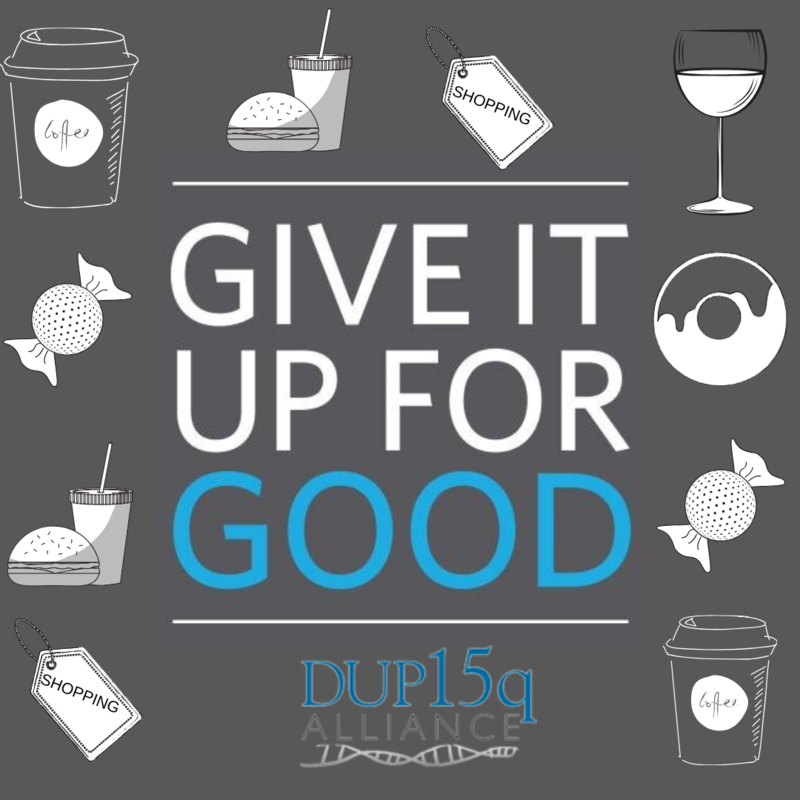 DUP15Q ALLIANCE - Give It Up For Good! Coffee? Sweets? Takeout? Target runs? We all love them! However, from now until April 18th, we challenge you to GIVE IT UP FOR A GOOD CAUSE! Test Your Willpower and Make a Difference! You can make a one-time donation of the amount you typically spend or you can make a small donation each time you would have otherwise made the purchase. However you choose to participate, we appreciate you Giving It Up! Here's to my nephew, Jon Buitendorp, and his fellow dupers. Aunt Cindy is giving up buying wine this week!!! This is my support for a worthy cause.